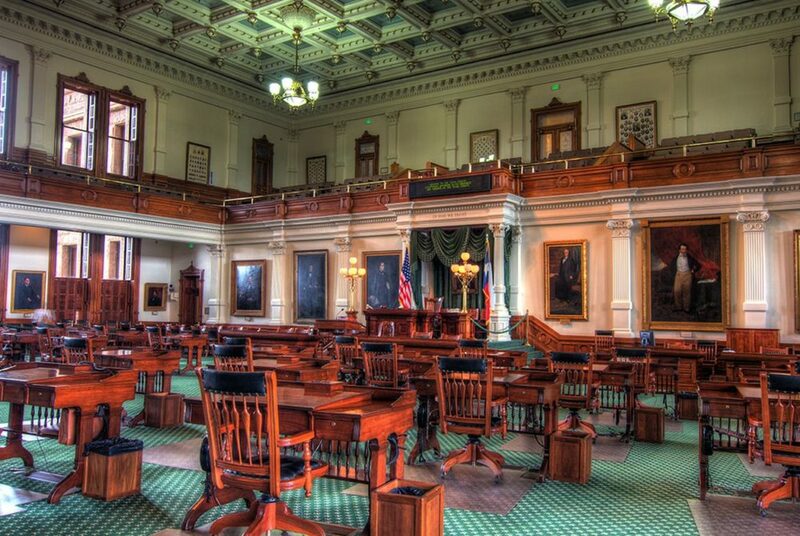 San Antonio voters could provide an insurance seat in the Texas Senate for Republicans, who are at some risk of losing an incumbent or two in the 2018 elections. The GOP has a 20-11 advantage in the state Senate, if you count the chair left empty by the disgraced Carlos Uresti as a Democratic one. They’ll have a majority no matter what; they hope to have at least 19 votes — the number needed to bring legislation up for debate when the other party isn’t cooperating. Uresti resigned this year after he was convicted on multiple counts of fraud and money-laundering by a federal jury in San Antonio. Eight candidates vied for his seat Tuesday in a special election that is headed for a runoff this year. And getting a Republican candidate into that runoff — in a seat conventionally considered a Democratic one — could buy Republicans some room in a year when other seats are at risk. It would be an upset, to be sure, but the numbers aren’t as forbidding as you might expect. Democrats will be down a seat, temporarily, at the beginning of the regular legislative session in January. Because of state Sen. Sylvia Garcia’s decision not to officially resign until early that month, there’s a possibility her spot won’t be filled until after the start of the session. If a November election decides it (Gov. Greg Abbott hasn’t set a date for the special election), that Houston-based district would have a senator when the Legislature convenes on Jan. 8, 2019; if it’s later, or if a runoff is needed, it won’t. That will be a footnote in this drama: The real danger is to the Republican supermajority now in place. Democrats are hoping to overtake one or more of three state senators who are arguably in districts that Democratic candidates could win: Konni Burton of Colleyville, Don Huffines of Dallas and Joan Huffman of Houston. Burton’s Senate District 10 is the closest thing to a swing district on the current Senate map. Burton won it four years ago with 52.8 percent of the vote in a year when the average statewide Republican was getting 54 percent, according to state election data. Burton’s results were similar to Greg Abbott’s in that district, which had previously been held by Democrat Wendy Davis — Abbott’s 2014 opponent. Two years later, Donald Trump beat Hillary Clinton there by 0.6 percentage points; the average statewide Republican that year got just 50.9 percent of the vote in SD-10. This year, Burton faces Democrat Beverly Powell in the general election. Huffines is up for re-election in a year in which his twin brother, Phillip, lost a bruising, negative and expensive primary race against Angela Paxton for a neighboring Senate seat in Dallas and Collin counties. That’s strike one. Strike two is that Dallas has steadily become bluer in each election cycle and is the epicenter of Democratic efforts to add seats to their Texas House delegation; half a dozen seats now held by Republicans are on the minority party’s target list. SD-16 leans more toward the GOP than Burton’s district, however, Trump lost to Clinton by more than 4 percentage points there. Huffines will face Democrat Nathan Johnson in November. Huffman is a bit lower on the alert list. Republican statewide candidates got 61.9 percent of the vote in Senate District 17 in 2014 and 53.6 percent in 2016. Trump won by 0.9 percentage points. Abbott won in 2014 by 21 percentage points. Her Democratic opponent is Rita Lucito; Lauren LaCount is the Libertarian Party nominee. The Republicans have fewer opportunities, or did, until Uresti resigned. Only three Democratic Senate incumbents are on the ballot in 2018, and all three — Kirk Watson of Austin, Royce West of Dallas and John Whitmire of Houston — are in safe Democratic districts. Garcia’s seat will be open, but it would take a miracle to get a Republican candidate into office from her district. The Uresti slot, however, opens a possibility if the GOP is lucky this year. The special election was held Tuesday, resulting in a runoff that will probably take place sometime in mid-to-late October. This has been Democratic territory for ages, but take a look at the numbers. Clinton beat Trump easily — by almost 12 percentage points. But Abbott beat Davis by a nose (0.1 percentage points) in 2014. Statewide Democratic candidates, on average, got 48.2 percent of the vote in 2014 and 51 percent of the vote in 2016. That — along with the rock-throwing and back-stabbing among the Democrats in the special election — is why Texas officeholders from Abbott to U.S. Sens. John Cornyn and Ted Cruz to Lt. Gov. Dan Patrick all jumped in to endorse Pete Flores, a Republican running in that eight-candidate pack. Flores ran against Uresti in 2016 and lost badly, with just 40.4 percent of the votes. Still there’s no risk to the Republican hotshots in supporting him. Special elections, with their small turnouts, sometimes produce unexpected results. And with the Republican supermajority in the Senate in play, the upside for Republicans in the next legislative session could be huge.